Nokia has been going strong with mostly offering mid-ranged smartphones for some time now. 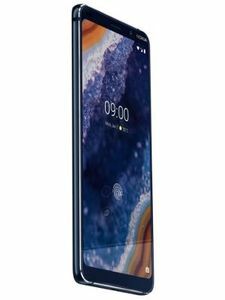 With the Nokia 9 PureView, the Finnish brand is exploring new avenues to get an edge over its competition in the premium segment. It is doing so by being the first smartphone to offer a penta-camera setup at the rear. The rest of the phone is also up the mark with flagship-grade specifications including a Snapdragon 845 chipset that has been paired with 6GB of RAM and 128GB of storage. The display on this phone measures 5.99-inches and comes with a 2k resolution and HDR10 compliance. This smartphone is also the first from HMD Global to feature an in-display fingerprint scanner. On the software front, you will get stock Android 9.0 Pie out-of-the-box. The phone supports Qi wireless charging while also allowing wired charging via the included USB Type-C port. The Nokia 9 PureView price in India is expected to be Rs. 59,990 for the 6GB RAM + 128GB internal storage variant. The phone is expected to be available in only one color: Blue. The phone is due to be launched in India on 24 February 2019. Prior to its launch, we had gotten our hands on a promotional video of the Nokia 9 PureView that highlighted pretty much all the aspects of the smartphone. As can be seen in this video, the upcoming Nokia flagship smartphone will not be significantly different from the current Nokia 8 Sirocco in terms of design. We can also see that the smartphone has a glass back and a solid metal frame in the middle. Thanks to the glass back, Nokia 9 PureView will offer Qi wireless charging support. The smartphone appears to feature an 18:9 aspect ratio display with relatively thick top and bottom bezels compared to most recent Android flagship smartphones. The smartphone’s PureDisplay display panel will measure 5.99-inches diagonally with 2K resolution and HDR10 compliance. While the smartphone will not have razor-thin bezels, it will sport an In-display fingerprint sensor, a feature that we have not seen on any Nokia-branded smartphone so far. Moving on to the back of the handset, we can clearly see that the Nokia 9 PureView will have a total of five rear-facing cameras with ZEISS optics. According to the promotional video, users will be able to capture photos with all the five sensors simultaneously. Low-light performance is another area where the Nokia 9 PureView is expected to impress. HMD Global is claiming that the Penta-lens camera setup on its upcoming flagship can capture up to 10 times more light when compared to a regular smartphone camera sensor. Users will even be able to adjust the depth-of-field after a shot has been taken within Google Photos. Unsurprisingly, the Nokia 9 PureView will be an Android One smartphone and will run on the Android 9 Pie operating system at launch. Being a part of the Android One program means the smartphone is guaranteed to receive OS upgrades for up to two years. Along with OS upgrades, Android One smartphones also receive regular security updates from the manufacturer. It surprises me that about the upcoming 5G phone and NOKIA 9 is still a 4G handset despite its technologies are high-end.